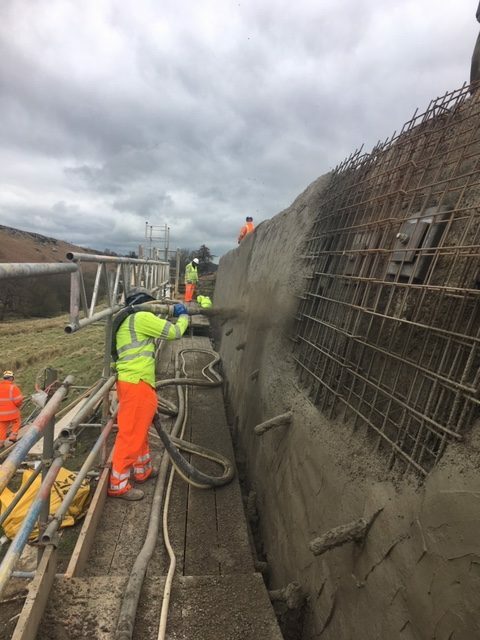 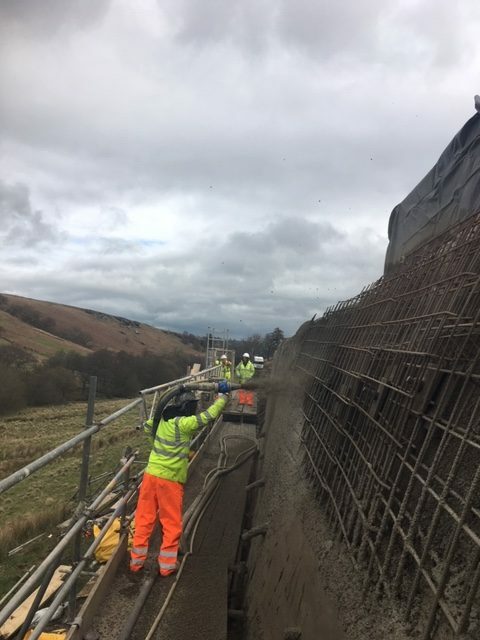 The shotcreting started at Kex Gill on Monday morning and was completed by Tuesday evening. 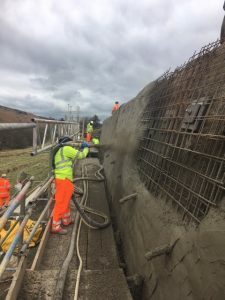 The shotcreting has been finished to an excellent standard, with wood float finish. 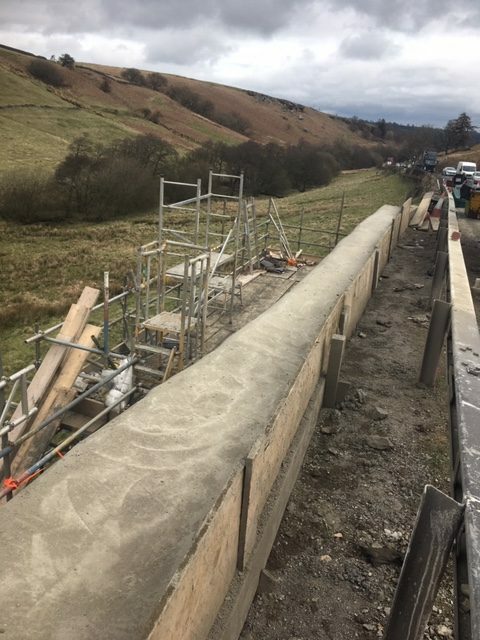 All that remains to do now is remove the scaffolding and demobilise from site ready for the re-opening of the closed lane on the A59.